The “Sustainable Food in Public Schools” Triple-win case study aims to ensure that children aged 0-3 attending public nursery schools in Madrid, Spain are provided with healthier and more sustainable food. 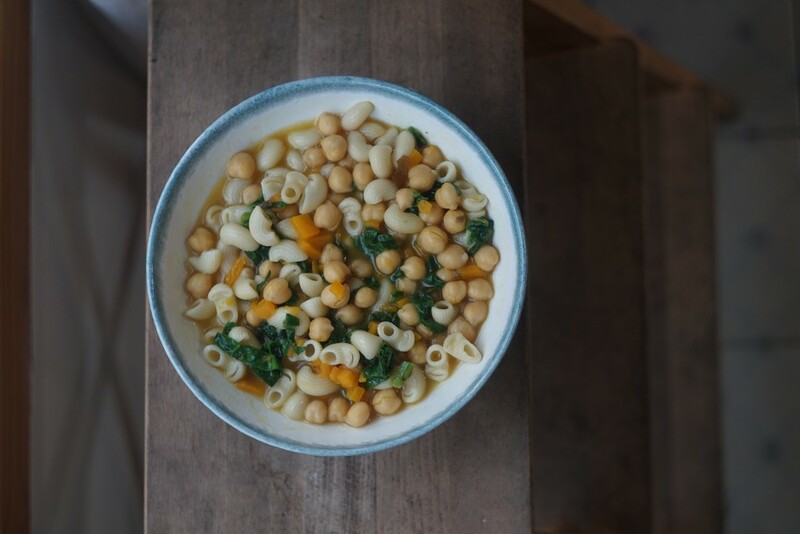 It is based on guidelines from the Milan Urban Food Policy Pact, a commitment made by 181 cities across the world – including Madrid – to strive towards more sustainable food systems by guaranteeing healthy accessible food, reducing food waste, and protecting biodiversity. On 11 January 2019, Maria Romeo-Velilla of EuroHealthNet went to Madrid to find out more about the project and how it achieves the INHERIT “Triple-Win” of contributing to environmental sustainability, promoting better health, and reducing health inequalities. Concretely speaking, “Sustainable Food in Public Schools” seeks to bring about change by implementing new menus for children attending one of Madrid’s 56 public nursery schools. It aims to help foster this change by organising workshops for key stakeholders and raising awareness amongst parents. The project benefits from a number of sources of funding, including INHERIT, as it is one of the 15 Triple-win case studies selected for in-depth analysis. Accompanied by three representatives from the University of Alcalá (Sonia Quiroga, Pablo Martínez and Cristina Suárez) – responsible for evaluating the INHERIT case study – Maria’s visit began in one of the schools in which the project is implemented, Escuela Infantil Municipal Hiedra, located in a disadvantaged area of Madrid (San Blas). Warmly greeted by the head-teacher and staff, Maria was able to engage in in-depth conversations with them, and in particular with the kitchen personnel, who are at the very heart of the initiative. Speaking to the school’s head chef, Maria realised the importance of ensuring that those who are involved in the daily preparation of food for children are truly committed to the project. Although they are sometimes overlooked, they can in fact become the key champions of sustainable food, and help to bring about positive and lasting change. It was heartening to see that the teachers are also fully engaged, as this is crucial in helping to ensure that children’s parents understand the benefits of healthier and more sustainable eating habits for their children, as well as for the environment. Next, Maria was invited to attend a workshop organised for kitchen staff – the second such workshop to date – which gathered the representatives from the University of Alcalá as well as two representatives from the Madrid City Council, which is responsible for the implementation of “Sustainable Food in Public Schools”. 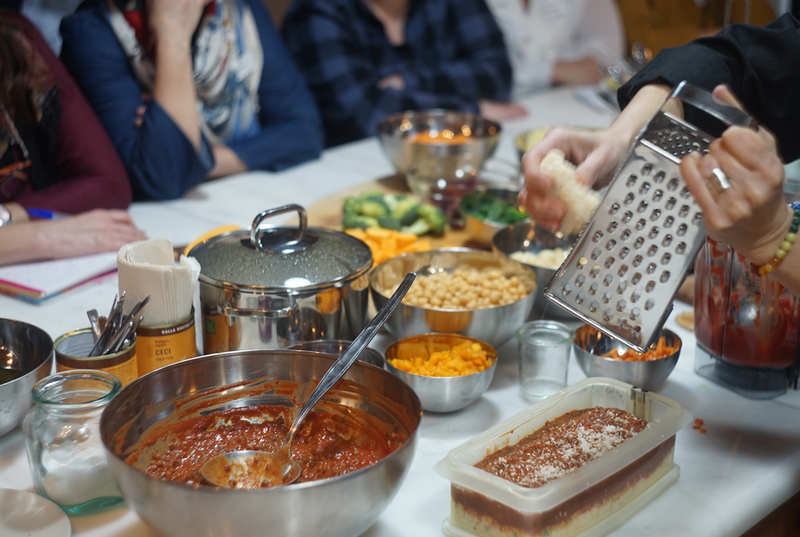 Despite the fact that the staff is not financially compensated for attending these events, around 15 kitchen head chefs from different schools were present on the day that Maria took part, again testifying to their personal investment in the project. 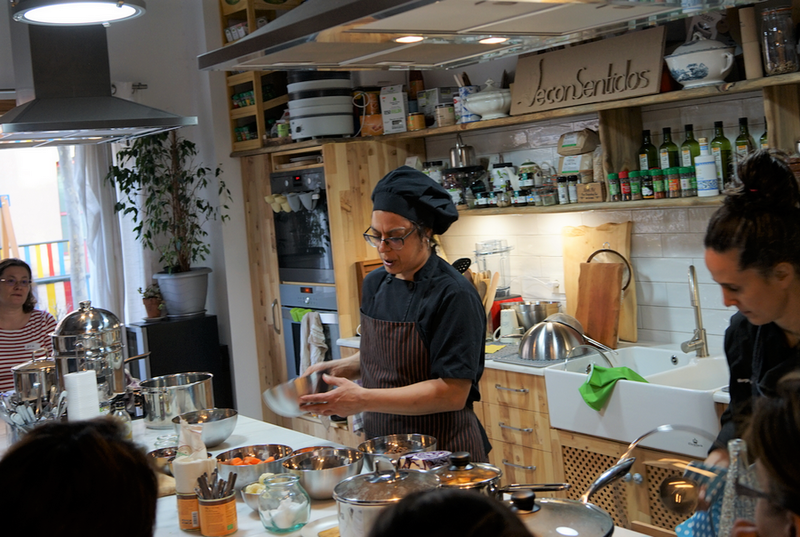 The organisation of the workshop also highlights the multi-stakeholder nature of the project, as it was hosted in an econsentidos – an organisation of ecological cooking schools – and run by its owner and a former school head chef. 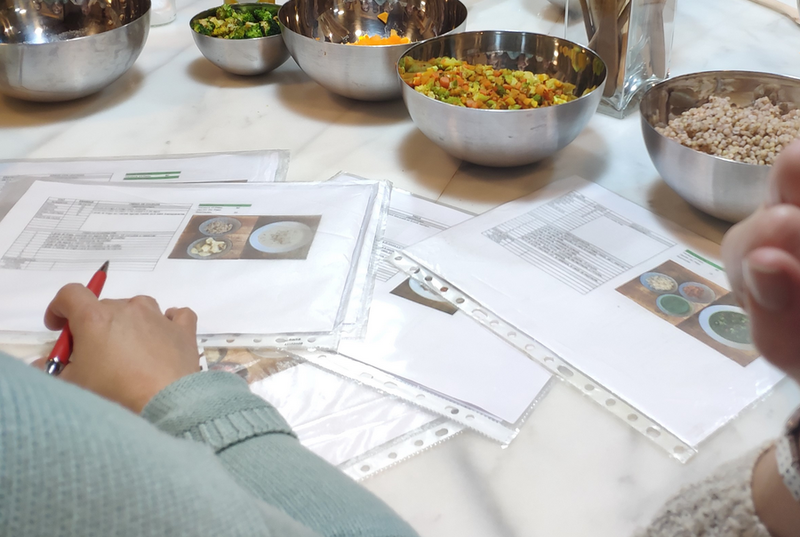 During the positive 3-hour session, participants were taught in a thought-provoking way about the guidelines on sustainable food set out by the Madrid City Council, “learning by cooking” and invited to reflect upon previously held assumptions. The workshop also served to raise a few issues related to the sustainable food initiative, such as the unequal cooking facilities between different schools, and the limited resources to improve the food offered to children (reported by a few participants). Another potential barrier to the project as a whole is the lack of parental support, due to lack of information. The City Council is attempting to address this by organising events to raise awareness amongst parents, as well as by involving paediatricians in the initiative, as their opinion is often the first point of reference for parents of young children. Overall, Maria was positively impressed by the project and its implementation, in particular the way in which the school and kitchen staff have taken ownership of it, and by doing so, having a huge impact on its success. In a country in which food plays such as central role, and in which traditional and not always sustainable views on food still prevail, “Sustainable Food in Public Schools” highlights that by adopting a holistic approach and involving all actors, it is possible to change mindsets and habits, and to pave the way for a healthier environment and healthier food for all children. In the context of INHERIT, the “Sustainable Food in Public Schools” is being further examined through both a qualitative as well as a cost-benefit analysis, led by the Dutch Institute for Public Health and the Environment and the Basque Centre for Climate Change (BC3) respectively. Learn more about Sustainable Food in Public Schools as a selected INHERIT Triple-Win case study.